There are two general types of carbon monoxide detectors; carbon monoxide and smoke combination detectors, and carbon monoxide only detectors. For home use, we recommend using a combination carbon monoxide and smoke detector so you can limit the amount of devices you will need to install and eventually replace. If you already have a working smoke detector, you can either replace it with a combination alarm, or install a carbon monoxide only detector. Your power source will help you decide which carbon monoxide detector is the right one for your application. Battery Powered: These units run on battery power and are not connected to a hard power line. 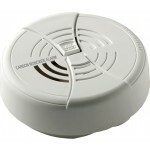 Battery powered carbon monoxide detectors are easy to install. 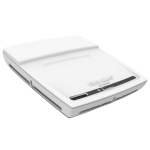 Often times, they will have a built-in front-loading battery compartment for easy access and replacement of old batteries. If you are retrofitting your space, and would like to limit the amount of electrical work needed, this is a great option. 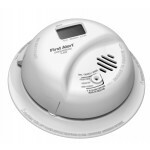 Plug-In: Plug-in carbon monoxide detectors will run directly from a power outlet and will provide instant detection. Installation of plug-in models is as easy as plugging them into the outlet, and you are done. These units do not run off of a battery. Hardwired: Models that are hardwired require a direct power source that is wired to the alarm providing steady electrical current. These units require little maintenance once installed. We recommend that a qualified electrician install these units. Hardwired models are easily interconnected and can operate as a “system” of alarms and other devices. 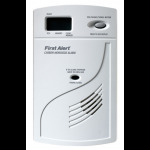 Hardwired with Battery back-up: Hardwired models are also available with a battery back-up that will keep the carbon monoxide detector operating even during a power outage. These units still need to be hardwired to your standard power source, however, have extended life due to the back-up battery. Interconnectivity: Is your Carbon Monoxide detector interconnectable? 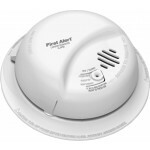 Some Carbon Monoxide alarms have additional functions that allow for the unit to be installed in a series of interconnected detectors and other devices such as bells or whistles. Interconnected devices include advanced technology to identify which detector initiated the alarm. Electromechanical sensors are known for being the most accurate detectors available. These units will detect many types of fires, and will be least likely to cause nuisance alarms. Photoelectric sensors detect larger size particles in the 0.3 to 10 micron range, which are associated with ash or burned material. These detectors respond quickly to smoldering fires where particles may be in the surrounding air. Ionization sensors are often less expensive to produce and thus will cost less. However, due to the nature of the technology, it is more prone to cause a nuisance alarm. Ionization sensors have two points which have a steady current flowing through. Once particles enter between the two points, the current is interrupted and the alarm sounds. Ionization alarms are used to detect smaller particles and flaming fires. A BRK Carbon Monoxide Detectors are easy to install, with many models capable of being plugged in up to 18 devices. Carbon monoxide is an odorless, colorless gas emitted by a wide variety of household items. The gas can be extremely dangerous, but with a BRK carbon monoxide detector you can protect your home.